Like many science fiction fans, Ridley Scott’s Alien and James Cameron’s Aliens are a couple of my favorite genre movies, and, though some of the later films went a bit wonky, there’s not a related story I wouldn’t run out and see. Well, that’s not entirely true … I did skip over that Alien vs. Predator business, but in my brain, that’s a whole different animal — er, species. 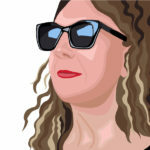 Point being, here at Oohlo, you’ll hear any of the barest whispers we come across. 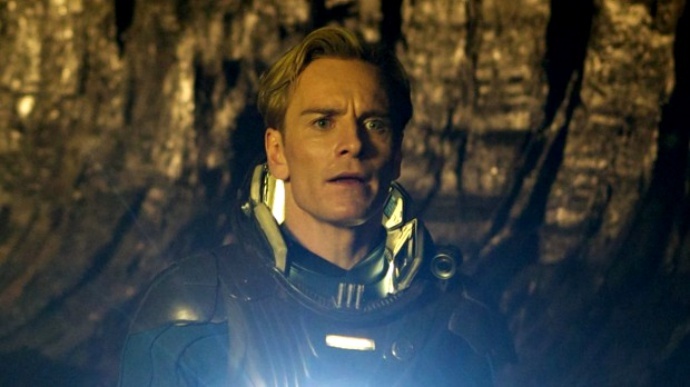 Despite some of Prometheus‘ obvious failings, we’re super excited to see how Sir Scott continues weaving through the Alien threads, and from the Covenant set photos to that really cool rumor that ties together the second Alienesque trilogy in a nifty way, I’m ready to buy my ticket right now. 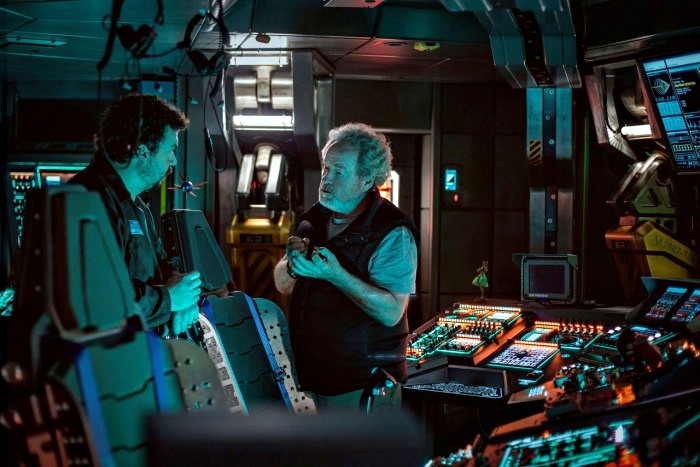 First up today is a new set photo: the first official look at Danny McBride, presumably inside the titular Covenant ship. 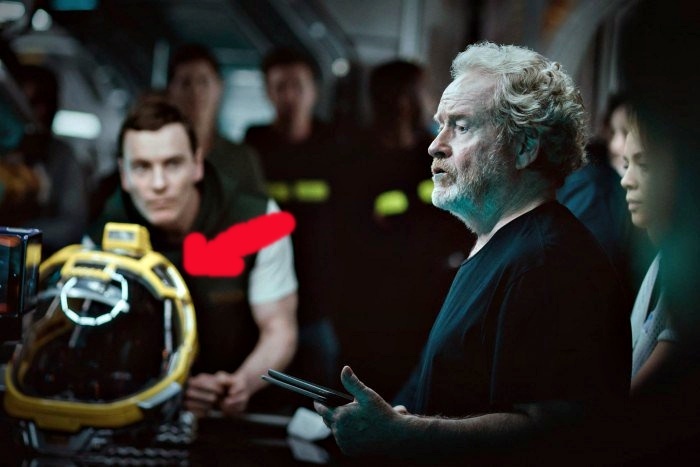 Second is another photo, this one featuring Michael Fassbender, who’ll be playing not one, but two Davids (note his not-platinum hair). 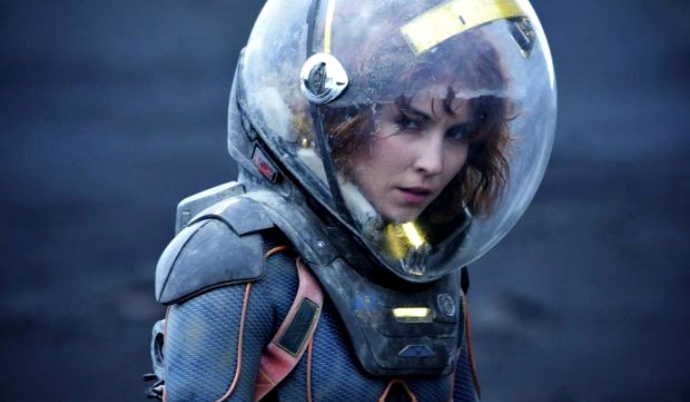 You’ll likely also notice that the helmet in this shot is very different from those worn by the Prometheus crew. And, finally, after first hearing that Noomi Rapace’s Dr. Elizabeth Shaw would return, Scott later said she would not. But, as we’ve already witnessed (Prometheus turned from Alien prequel to not really, then back again) many times, the director is prone to changing his mind. Lo and behold, a certain naive archeologist has reportedly rejoined Scott and Co. According to Deadline, Rapace is in Australia shooting “weeks worth of scenes”. I do wonder if perhaps she’ll only be in at the very end of the Covenant story — it’s set ten years after Prometheus — as a lead-in to the third movie in the trilogy. It could be that, after jumping ahead, the final film might double back to fill in Dr. Shaw’s quest to find out why the Engineers wanted to destroy humanity … or it’s possible that they’ll find Shaw somehow integrated; Alien-ated (*shudder*). Whatever her story, I am shamelessly salivating for Alien: Covenant, despite the fact that we must wait a whole year longer before its August 4, 2017, release. Next story “Vengeance Is Mine”: Cheers to Outlander’s Fabulous Duke of Sandringham!